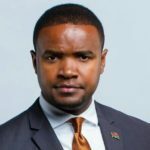 Johnstone Mwakazi has opened up yet again about a fake news story which claimed was dead. The story, published by a blog last year, claimed that Mwakazi had passed on leaving Kenyans online shocked. According to the former Citizen TV news anchor, he was informed by a friend about the news while driving and had to call his wife immediately. “I was driving and someone calls me saying, ‘ooh Johnstone ooh ooh. it’s good to hear your voice!’ I asked what’s happening? he tells me, ‘Johnson, there is this particular message online…’ so quickly I had to call my wife because I realized if someone called her first it would be a different ball game,” he said in an interview with Radio Jambo. Statement Rumours of his death circulated first in major Facebook groups with many members of the online community sending in their condolence messages to his family and friends. Mwakazi released a statement shutting down the rumours. “Friends, all is well. I give thanks to God. Kindly note that rumors that I am dead are not true. I am alive and I give thanks to God for the gift of life,” he posted. The post Johnson Mwakazi narrates being killed online by fake bloggers: I was driving and someone calls me saying, ‘ooh Johnstone ooh ooh. It’s good to hear your voice’ appeared first on Ghafla! Kenya.